The Standard range of pet feeding dishes comprises of six sizes, ranging from the 4.5" diameter up to the 11" diameter dish. Extremely durable and retaining it's sheen over many years, the Classic stainless steel dish range is also noted for being hygienic, and safe to use in dishwashers as well as it's resistance to absorbing food odours. 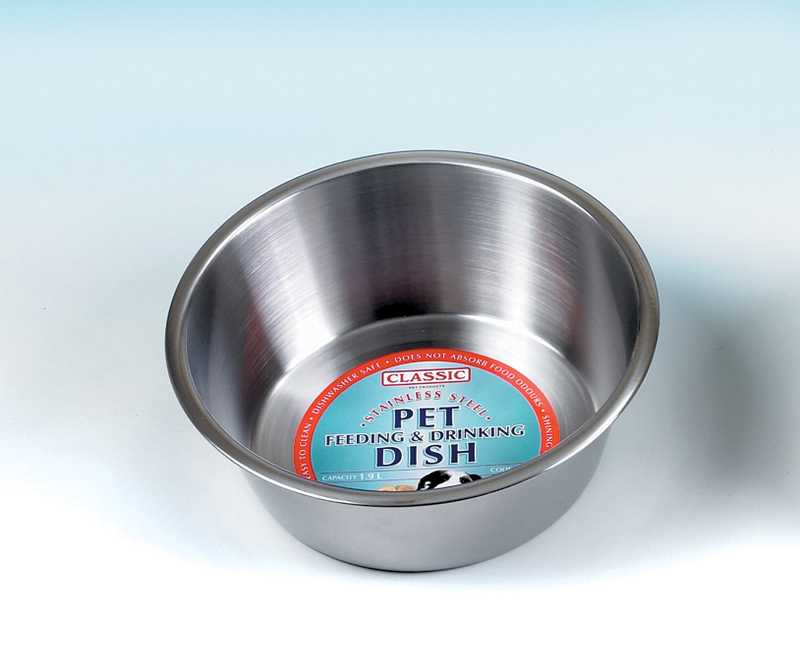 There are currently no questions for Classic Pet Products Stainless Steel Dog Dish - be the first to ask one!